Having a well-executed website can make a tremendous difference for your business. Depending on your business model, your website might be the first point of contact that your potential clients will have with you. This is where they will get the most information about you, your services, and how to contact you. Making a clean and organized website is important for making sure people visit and stay on it for a while. On a recent blog post we talked about 3 Reasons Why Your Business should be Mobile-Friendly. In today’s world, most people do more web surfing on their phones and tablets. 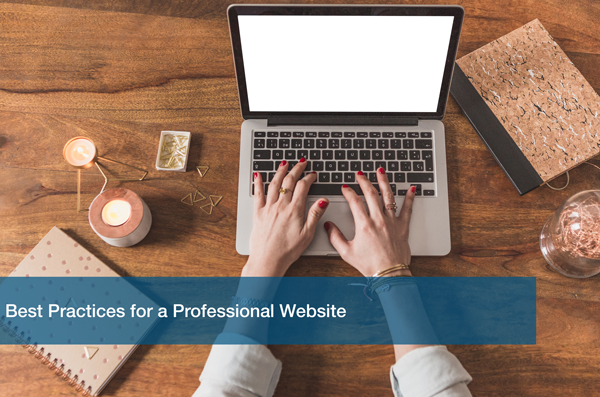 Your website should be able to perform and look just as well as it does on a regular desktop. Check out The Best Designs for some more inspiration on design and color choices. Designing your website to be readable and understandable are the first two things you should consider. Color schemes and fonts play a big role in making your website look neat and organized. If you are using company colors, make sure you use the right color font that is readable and not hurtful to the eyes. The text should be able to be read on desktop, mobile, and tablet screens. Dividing your information into sections will help with readability and flow. The sections might just start to form themselves as different topics arise. Keep the spacing consistent for a more polished look. Having a strong call to action will help convince the reader to take action after reading the piece. Buttons, online forms, and downloadable content are some great examples of call to actions. “Discover us today”, “Visit us at”, “Submit our form” are some examples of call to action phrases. You want to elicit a response from the reader to generate business for your company. Our website offers free resources that can be downloaded by submitting an online form. You want to generate traffic and business opportunities from your website. Having the correct contact information will ensure that potential clients can reach you. List your company’s phone number and address, as well as any other information that might be important for a new client. Some websites have a google maps plug in so people can further see where their office is. Listing your hours of operation in the contact section is also good practice. Add social media links as they are also a form of contact and so you can grow your social presence. Add online forms for service requests. This will help you steer the conversation better when you contact them. Mobile and tablet platforms are quickly taking over the business world. Your website should be able to adapt to them. Try to keep everything consistent so the information is always easy to find. Most mobile websites have a menu button towards the top left or right of the screen. That will be the major point of navigation. Keep it consistent towards all pages they visit. Loading times should be fast and efficient so customers don’t lose interest before they even get to your website. Websites should showcase what your company is all about. Mission statements and testimonials help add a friendly touch to the technical side. Here at ITC we help our clients with any IT support needed, including website design. Our team can help you craft a website that helps represent the best of your business online. Schedule a Free IT Analysis online to get your website design strategy started today.